Teenage, those seven years of an individual's life where they go through extremes of emotions, expectations, realizations, recognition and awareness. Though teenage is the formidable age of experiencing and learning new things, imbibing what is being preached and following what has been directed to them, only a handful of few get to follow their heart and they are a bunch of lucky people. In the teenage, let's accept the fact, we make mistakes more out of inexperience than the determination, during those days what one needs the most is not guidance, but confidence to sail through. Where does that confidence come from? Mostly immediate friends and rarely family. With no intentions of demeaning the purity called family, but families are overprotective, which in a sense is good. Why all this Gyaan on the teenage days? Read on. I recently read Teenage Diaries - The Days That Were, a book by author Saurabh Sharma. 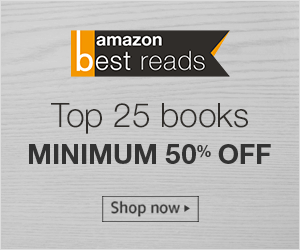 From the title of the book, you would have already guessed that the story of the book revolves around the teenage life of the protagonist, Ghanshyam aka GK who faces various problems pertaining to his name to his presence and appearance to the social life and in between all this mess, something new happens and he finds a hope. Does the hope survive? Does he overcome his problems leaving behind the worries or gets drowned in them? That's for us as a reader to find out. 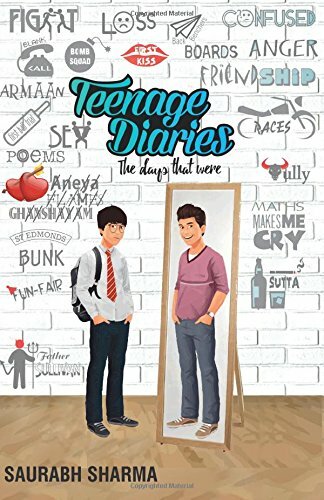 The story of Teenage Diaries - The Days That Were is narrated in first person and is more like a conversation that the protagonist, Ghanshyam, is having with you as a reader and it starts right from the time Ghanshyam is about to be born. The narration is an interesting mix of humor and wit, emotions and indifference, hope and adventure. The choice of words by the author, Saurabh Sharma, keeps the book lively throughout and the sequence of events that occur in Ghanshyam's life, both happening and not so happening, his reactions to them are something that you as a reader will relate to either out of experience of observation. The human expectations, rather the expectations that the teenagers have right from friends to family, from love to hate, from promises to fear is impressively talked about. The overall plot of the story might not be unique, but the way it is told is. The cover of the book is very apt to the story, however the blurb of the book doesn't do justice to what the book has for the reader as it appears very generic and you may feel it is just another teenage story. I would recommend this 320 page long Teenage Diaries - The Days That Were to anyone interested in reading a fiction that revolves around teenage beyond love.